Will E numbers ‘fuel’ your classics bad health? Home » Will E numbers ‘fuel’ your classics bad health? Whether you want your classic to retain as many of its original characteristics as possible, or whether you have hopped up your vehicle, we are all restricted by the availability and distribution of fuel. Over the years owners have adjusted or made small changes to continue using their classic, be it upgraded parts or using fuel additives…but there is a new issue on the horizon for the classic car enthusiast. Transport ethanol is a biofuel and has been add into petrol at up to 5% volume (E5) for many years. Then in 2013, retailers were allowed to sell petrol containing up to 10% ethanol by volume (E10) should they choose to. Although E10 is not currently sold in British petrol stations, classic motorists are facing potential issues if fuel suppliers chose to introduce E10 into their pumps under the renewable energy directive, which requires 10% of energy used in transport to come from renewable sources by 2020. Most petrol stations in the UK offer two grades of E5 petrol: premium unleaded – 95RON, and super unleaded – 97RON. The current legal requirement for unleaded to be supplied with a maximum of 5% ethanol expired at the end of 2016. Without legislation, there is a concern that fuel providers may decide to supply E10 as part of their premium petrol and offer an E5 blend in their more expensive super unleaded. This could be problematic for petrol stations who have limited tank and pump space to provide multiple grades of fuel, but, also costlier to motorists needing to use a super blend or modify their vehicle to be compatible. 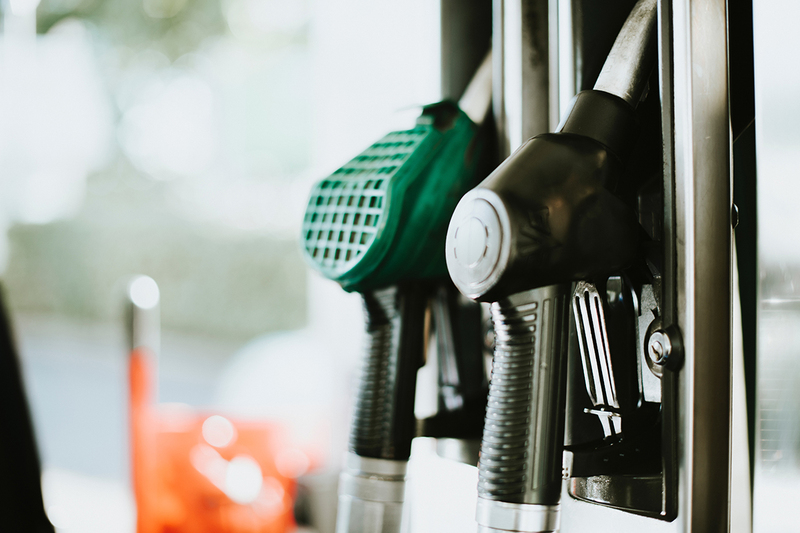 The Government is assessing whether there is a legislative requirement for providers to maintain E5 in their premium fuel if they decide to sell E10. The initial assessment suggests that 1.4 million cars could be incompatible with the increased percentage of ethanol used in petrol, of which around 285,000 were produced in 1985 or earlier. The DfT propose a “protection grade” that will guarantee the supply of E5 premium fuel until the end of 2020 for E10 unsuitable vehicles, whilst minimising the burden to the fuel industry. There are also calls to implement new standardised fuel labelling therefore helping motorists select the correct fuel for their vehicle – pumps are not yet required to indicate that fuel dispensed may contain any biofuel element. E10 is inevitable, but the question we are all asking is how long will the E5 grade be available after 2020? Well, we can’t give you the answer to this, but we would like to draw your attention to a few of the effects that E10 fuel could have on your classic car so you can be prepared. Older and classic vehicles were never intended for ethanol fuel blends. Although many can tolerate low levels, it’s important to be aware of how high levels of ethanol can damage your classic. Long term storage of petrol-ethanol mixtures, for example if your car is left unused over winter, can become acidic and lead to corrosion in the fuel system, degrading rubber fuel hoses, gaskets and seals. Ethanol’s high solvency action has the potential to strip the insides of components and partially dissolve rubber and resin, which could lead to blockages elsewhere. Fuel filters and jets could become blocked by debris released. E10 fuel has a leaning effect and the fuel strength becomes slightly weaker. You might feel this change as a loss of power. There is also risks of slightly hotter running or poor hot starting. There is an increased risk of vapour lock problems due to the lower boiling point of ethanol. If you are already feeling the effects of these problems, increased levels of ethanol in the fuel might exacerbate them. Moving over to two wheels, higher levels of ethanol can destroy internal sealants applied to tanks, and cause the resin used on some pre-70’s fibreglass motorcycle fuel tanks to start melting into the petrol. Eventually, you may see the fuel tank bubble and blister before springing a leak. For the Scooter fraternity, this could be a costly exercise. There has been a lot of chatter about adding ethanol equalising additives to fuel, altering compression ratios and even altering the timing on engines, we dare say time will tell but if it’s an engine that has not been rebuilt for a while you may need to get advice from a reputable scooter specialist. This might sound rather alarming, but its worth checking the condition of your tank and fuel lines, especially if your vehicle is used infrequently or stored for a long period of time. There are additives available to help combat corrosion as well as replacement components made with ethanol-compatible materials now on the market. It’s great to know that car clubs such as the Triumph Sports Six Club are now selling ethanol friendly fuel components to their members. These may not be cheap, but it’s a small price to pay for being able to use your pride and joy on the road for years to come. E10 is already used commonly across the European Union, particularly in France, so if you are planning a European road trip in your classic, we suggest that you consider whether your vehicle is compatible and whether you need to make any adjustments or make use of an additive before you travel.